Cruising is one of the most enjoyable, elegant and relaxing ways to travel the world. After all, where else would you unpack at your hotel and then wake up in a different destination every morning? But in order to make sure your holiday is plain sailing, you need to pack prudently – especially if this is your first cruise. What you should pack depends on how long you’re at sea, what corner of the world you are visiting and what your interests are. But there are some packing tips that apply to cruises in general that will help you be as prepared to sail as the captain of the ship. So let us guide you through some essential packing tips to get the most out of your cruise. After checking your bags in they will need to go through security – meaning they won’t be dropped off at your room until several hours later. So in the meantime it’s a good idea to pack a smaller bag with the essentials you need for your first few hours on board. For example, if you plan to hit the hot tub, bring your swimwear, sun cream, hat and sunglasses. Other necessities may include medication, a camera, a book or warm clothes if you’re sailing in colder climates. It’s also worth keeping any documentation in your carry-on luggage including passports and cruise travel insurance. 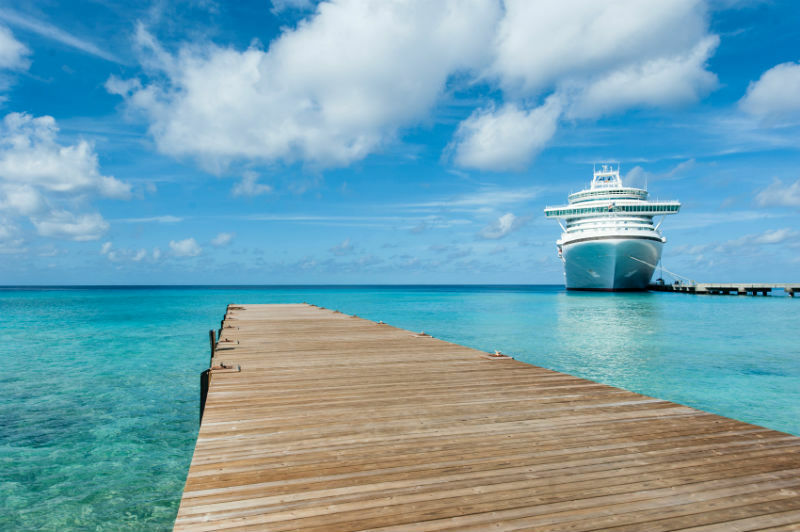 The motion in the ocean doesn’t affect everyone, but if you find yourself feeling a bit under the weather, it can put a damper on your cruise enjoyment. So speak to your doctor beforehand to see what medication is available, just in case there are some rough seas during your holiday. As well as prescription drugs, some people wear Sea-Band Wristbands, which are said to curb nausea and vomiting without side effects. Others swear by ginger tea and green apples to fight motion sickness – the latter of which are often a room service option. Contrary to popular belief, most cruise companies allow you to bring a bottle or two of wine aboard – although they may charge a corkage fee if you plan to drink it in a public restaurant or a bar on board. But if there’s a particularly nice bottle of wine you’ve been saving, why not take it with you to watch the sunset from your balcony? As an added tip, pack the bottle inside two shoes to make sure it’s protected in your luggage. Oh and don’t forget a bottle opener and a Champagne corker if you don’t drink the bottle in one go. The chances are you’ll sleep fine, but if your room is close to a nightclub or the engine room, you may be thankful that you brought these tiny little plugs with you. In fact, why not bring a few pairs with you and make some new friends by dishing them out? An old packing tip, but one of the best! Rolling your clothes allows you to pack everything into a denser space, which of course gives you more space to bring back gifts! Other smart space-saving packing techniques include the classic rolling up of socks and stuffing them in your shoes and curling your belt inside the collar of a shirt to keep it from creasing. Ever tried describing your luggage and its contents to someone when it’s gone missing? Showing them a photo is much easier. So take a snap of your luggage on your mobile in case you need to show it to staff looking for your lost bags. And while you’ve got the camera out, take some pictures of your passport, bank cards and anything else that’s important such as prescriptions – they may come in handy if you lose them – especially if you have to cancel your bank cards. If you’re going to the Caribbean or somewhere to soak up the sun, the evenings can sometimes be chilly in the middle of the ocean. So taking a light jacket is a good idea. If in doubt about the type of clothes you will need to bring, ask your cruise operator before you start packing. Armed with these ocular accessories you may be able to spy on pods of dolphins, whales and indulge in a spot of port watching while the ship is docked. Plus, they come in handy for glacier gazing in Alaska. Music is a great travel companion. This is especially true if you are relaxing on your balcony watching the evening’s sunset with the aforementioned bottle of wine, accompanied by some of your favourite songs playing in the background. Formal nights are a cruising tradition, although times are changing somewhat, and the majority of men now wear business suits, as opposed to tuxedos. Formal wear dining evenings are of course optional, and if you don’t want to dress up you don’t have to. You can always dine at the buffet or get room service if you don’t fancy getting suited and booted. However, dressing up for the evening can be enjoyable. If in doubt as to what to wear, call your cruise operator and ask how many formal nights there are and whether dressing up is compulsory.